Credit the artistry of nature for this colorful, detailed 3-pc. set of wall art. For use outdoors or inside. 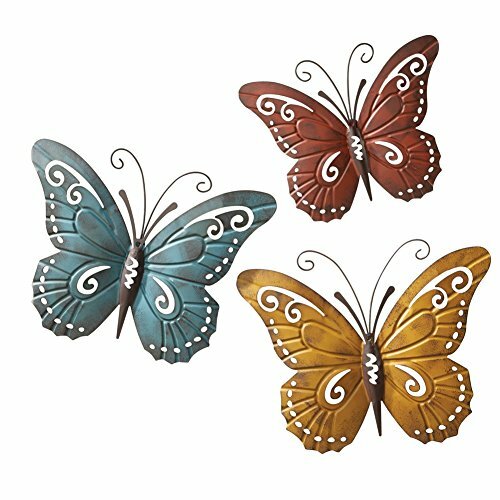 Crafted of painted iron with hook on the back for hanging. Largest: 17 1/2"L x 14"H.